1. Completion of required coursework. 2. Completion of minimum number of community service hours. 3. Completion of a training evolution. 4. Passing minimum PRT requirements. 5. Meeting required time in rate. 3. Meeting required time in rate. 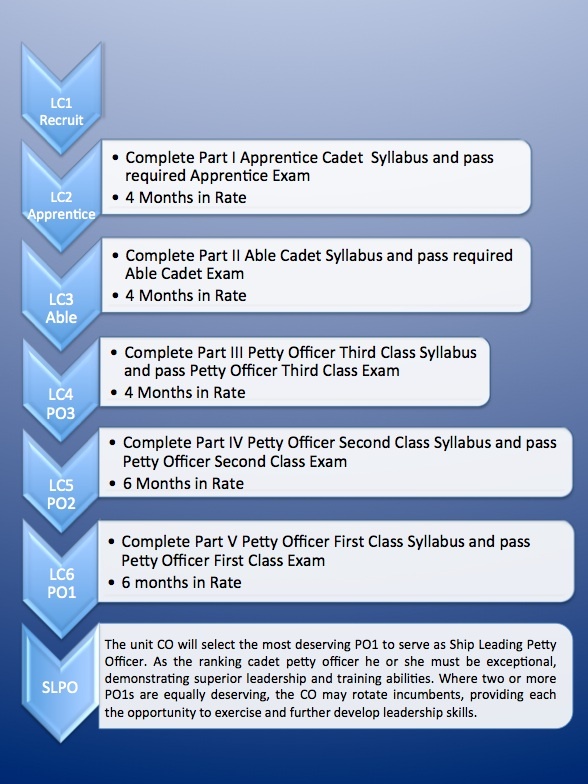 *Note that completion of a training evolution is not a requirement for advancement in the NLCC. 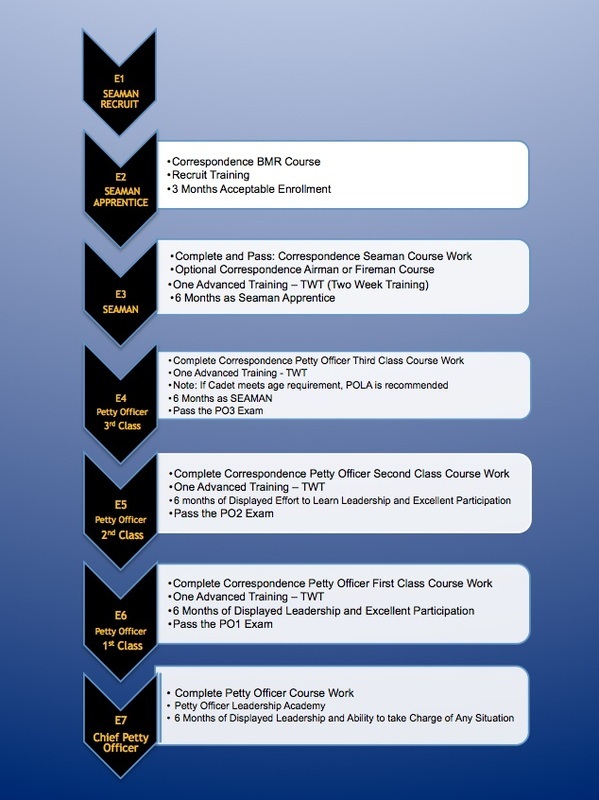 However, if a Leaguer wants to attend a NLCC Advanced Training, Basic Orientation must be completed.